Organizations today are facing escalating challenges to support their IT and application needs and uptime of their end-user IT infrastructure. As such outsourcing the entire IT functions to gain greater efficiency has evolved into a norm for most of the organizations. However it has given rise to several uncertain proposition as majority of outsourcing arrangements fail to achieve their original objectives. Organizations have to thus be careful in selectively outsourcing, or out-tasking specific IT functions to specialized out-sourcing service providers. Choice Solutions is one of those organizations that have realized the advantages of using a new generation of web-based, service desk automation platforms to provide outsourcing services. These days, in order to perform better employees in numerous organizations are becoming more and more dependent on computer systems and various enabling software/tools. For corporate end-users and other third-parties every service desk renders a Single Point of Contact (SPOC) to fulfill their IT needs. Conforming to an ideal situation, the service desk proactively keeps informed end-users and business executives of all service related actions, events and changes that might impact them in some way or the other. The service desk automation platform used by Choice Solutions under (IMS) Infrastructure Management Services provides a fully integrated set of management functions that can be easily deployed and utilized via the internet. The intuitive user interface and unified functionality makes the solution cost effective and scalable to meet the evolving needs of employees of any organization. It holds the centerpiece for successfully operating an Information Technology Infrastructure Library (ITIL) based IT Service Management (ITSM). With the development of technology, hardware failure has come down drastically but software failure has started increasing. Unlike earlier days a simple break-fix model is not enough to ensure high user satisfaction levels. What is required is managing and monitoring to ensure higher uptime of the equipment. In short, today there is greater need of proactive service when compared to reactive service and the Managed Service Provisioning from Choice has the answer. Choice has focused on the client’s security need and as a result the solution is delivered with high end hardware and software firewalls – data security is not that vulnerable. The software tools that are used to provide this service now come with encryption – the latest being 256 Bits rolling encryption with VPN. Every act of the MSP administrators is logged and a detailed log of the activities done by the admin is readily available and generated electronically. Our legal fraternity has contributed its share in the form of – enforceable Non Disclosure Agreements (NDA). At Choice Solutions we believe, any service provisioning is successful only if it is highly process driven and less dependent on people at the helm of affairs. With this in mind we have the relevant flow charts – all – as per ITIL and ITSM standards applied. Checks and balances have been established. The required fall backs have been thought about and made them ready and the process has been drawn up to face a high scalability. Thus Process, Technology and People deployed to resolve the proactive need of every client is the unique strength of Choice. 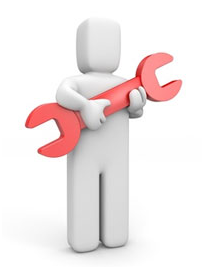 · A Single Point of Contact for all IT Maintenance needs of Client. 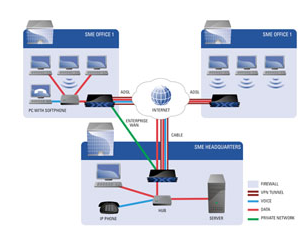 · End users get optimum up time of their IT equipment. 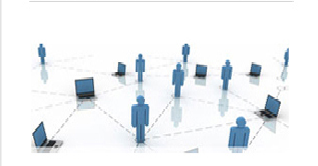 · Work with various vendors to enable Client to get the services as committed by vendors. · Plan and implement proactive support initiatives to reduce breakdown calls, faster recovery at the time of a breakdown. At Choice Solutions we believe, any Service provisioning is successful only if it is highly process driven and less dependent on people at helm of affairs. With this in mind we have generated & follow the relevant flow charts - all - as per ITIL and ITSM standards. Checks and balances have been established. Needed fall backs have been thought about and made ready and the process itself has been drawn up to face high scalability. Thus Process, Technology and People deployed to resolve the proactive needs of every client are the unique strength of Choice. · Licenses, version numbers, path and description. · OS information, version number and service pack. · Complete Automation for Patch Discovery and Deployment Patch. · Location, Deployment Method and Parameter Control Reliable and up to date Patch Data Base with Complete RollBack. · Automatic Baseline and Scheduled Computer Audits. · A Centralized Inventory Repository that is always available with Complete hardware and software profile is stored on the server with Software License compliance. Choice Solutions Limited gives you the gift of time and lets you focus on your key skills and responsibilities. 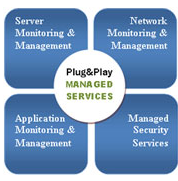 As such you leave your on going IT management activities in our experienced hands for timely and prompt delivery. Choice Solutions as a company is highly trusted by customers for best-in-class price/ performance ratio and high quality services to address the information technology requirements of corporate, small and medium enterprises in India. With a reputation for being the ultimate end-to-end IT solution provider to delivering high quality products and services, we consistently out-feature and out-perform the competition. Any maintenance service needs support from OEM vendors andChoice Solutions is supported by OEMs who train our service engineers on the nuances of their products. Our Support Service is through a Single Point of Contact with Committed Response and Resolution Time. We also offer Personalized Telephonic Support and Dedicated Account Engineer with full ownership of an account. Our extended support system has put in place a Transparent Escalation Matrix in order to increase User SAT. Choice Solutions has the expertise to deliver a set of practical executable plans for simplifying IT infrastructure, helping reduce operating costs while freeing up resources for new business initiatives. As such we seek better answers than traditional service models, based on our belief that consulting does not need a crowd of consultants. Our unique approach to services gives us the flexibility to select only those ‘point services’ that meet the clients needs or choose our end-to-end solution. 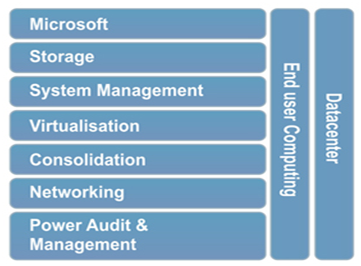 Choice Solutions delivers practice based approach to working with customers, providing either technology focused on consulting in support of specific implementation projects such as Microsoft, Storage and Virtualization; or broader issue-based consulting focused on End-User Computing, Data center Optimization and Systems Management. The consulting methodology used by Choice Solutions is based on our huge exposure to the unique Indian market and reference architecture. We couple this with the real-world experience of supporting many customer implementations. We also take advantage of innovative tools and automated analysis to avoid labor or time intensive consulting engagements to deliver rapid results. Choice Solutions offers a single point of contact end-to-end solutions to provide a range of service extending from hardware, software, service and on-going support. While many providers aspire to do everything, we focus on IT infrastructure services excellence. Infrastructure Consulting from Choice Solutions can help clients maximize the value of their information technology investments and create an efficient, effective and scalable IT infrastructure. Choice Solutions has been assisting a large number of end-user organizations in recruiting IT (software & hardware) & Telecom professionals, at all levels in India and abroad. The end-user organizations vary from multi-nationals to start-ups. 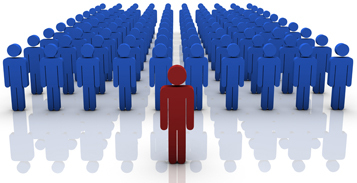 We are a multi-person; multi-location organization and can handle multiple positions of varying levels and volumes. The recruitment team at Choice Solutions has been providing consultancy exclusively in recruitment of IT, ITES (BPO) & Telecom companies in recruitment & helping them augment their manpower in specific areas. Choice Solutions has also helped many end-user organizations in recruiting computer professionals. Our data bank focuses on IT & Telecom professionals and the database is extensively automated to enable advanced skill matching. We have placed candidates with multi-nationals and industry leaders, as well as small organizations. A partial list of clients can be provided on request.